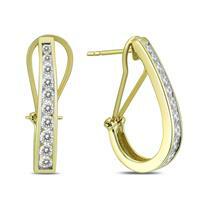 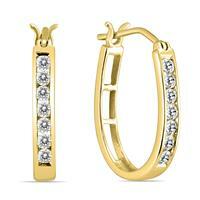 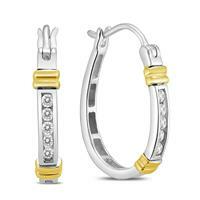 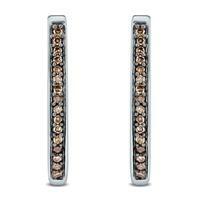 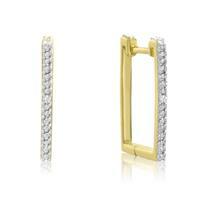 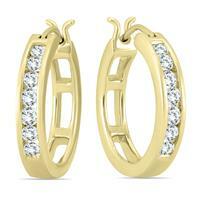 Select from a huge collection of diamond hoop earrings set in 14K white gold and 14k yellow gold. 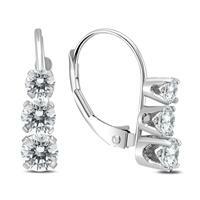 We carry channel set diamond hoop earrings, prong set double row diamond earrings, prong set inside out hoop earrings as well single sided prong set diamond hoop earrings. 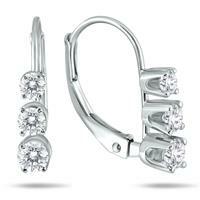 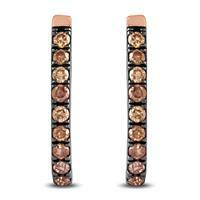 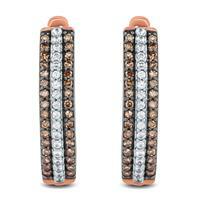 A spectacular collection and a must have in any diamond earring jewelry collection. 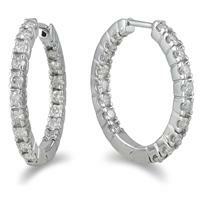 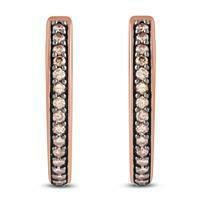 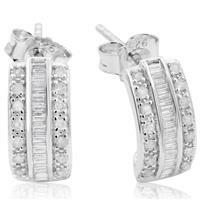 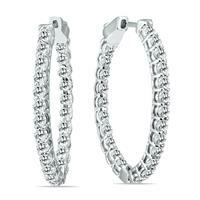 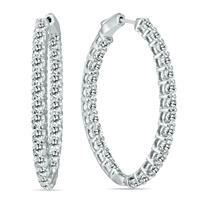 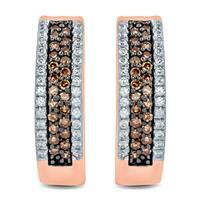 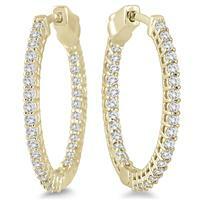 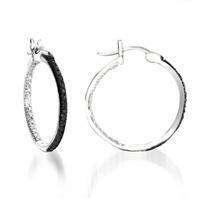 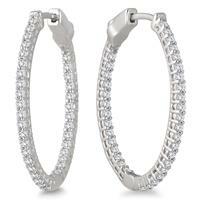 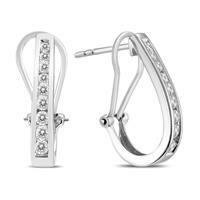 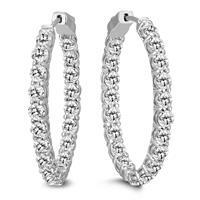 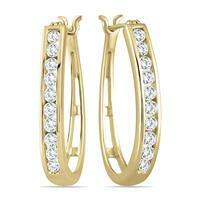 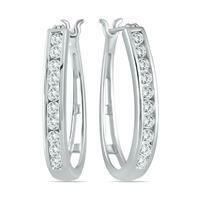 Find the perfect pair of diamond hoop earrings today!